Jit Gosai is a leading authority on test automation and DevOps. With over 14 years of industry experience under his belt, he has been sharing his knowledge and understanding on stage for the last five years. Not only does Jit explore best practice in test automation and team dynamics, he shares real life experiences and examples from working on a multi-platform, large scale digital product with the BBC. 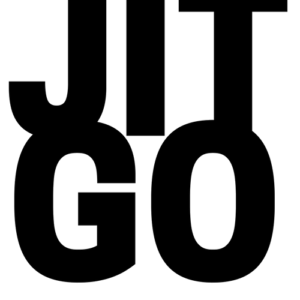 Jit is available to deliver inspiring talks, facilitate workshops and discussion as well as consultation on planning your team approach to testing, DevOps and Agile methodologies. He will be delighted to hear from you to discuss the opportunity to collaborate. Jit’s a creative, thorough, dedicated and professional test engineer. He was especially good at devising tests that effectively checked the functionality in a way that matched the real world and focused on what mattered in a product. He also appreciated the value of working closely and keeping good relations and communication with the development team. It was always a pleasure working with him. Jitesh was a valuable member of the EMCC Product team. As Test Lead across all of our products and components, he was dedicated, hardworking, always willing to go that extra mile, was able very quickly to pick up new technologies and excel in his field. I would have no hesitation in recommending Jitesh. Jitesh reported to me in my role as Test Team lead in SEMC, he could be relied on to produce excellent quality of work and deliver ontime. His opinion and knowledge was valued and he raised a number of defects which increased the overall quality of some high profile applications. Jitesh is one of the best Test Consultants I have worked with in my career to date and I highly recommend him. Jitesh worked as part of my team of testers, dealing with push email clients. He was very knowledgeable, able to work on his own initiative and was popular with colleagues both in his own team and in other departments. I would recommend Jitesh as a positive addition to any test team. Jit’s relaxed presentation style really helps to communicate technical concepts & ideas. To be this relaxed, you need to know your stuff!